Everyone knows planning and carrying out a wedding is a difficult job to accomplish. Moreover when the groom and bride have a specific, preconceived idea or wedding dream they wish. Thousands of testimonials show that beyond ceremony and celebration, the location and setting will, in most cases, make the difference. The Wedding Industry in our country continues to grow and it is mostly thanks to its marvelous diversity. México has been confirmed as the perfect place for a dream wedding. The head of PROFECO (Federal Consumer Protection Agency) has stated Cancún, Riviera Maya, Playa del Carmen, Tulum, Isla Mujeres, Puerto Vallarta, Los Cabos, Cozumel y San Miguel de Allende, as favorite destinies for foreigners to get engaged, married, and to enjoy a honey moon. The beauty and natural exuberance of its countless fascinating settings its ideal weather most of the year, its rich culture, direct flight availability, warm people and infrastructure go beyond expectations to provide all that is needed to plan and celebrate a great wedding. These are some of the most significant factors that have made Mexico a wedding destination on high demand by Americans and Canadians. Throughout the country, Mexico an embracing context so the stages of romance, proposal, celebration and honeymoon may be unforgettable for the bride, the groom and all attending, taking into consideration even the most intimate details. Islands, museums, gardens, walkways, dramatic sunsets, enlightening sunrises, cozy cottages, natural parks, archaeological sites, magic towns, golf courses, historical landmarks, fishing villages, White or dark beaches, ranches, haciendas, boutique hotels, luxurious yachts, sailboats, natural reserves, rivers, lakes, lagoons, colonial sites, many which have become world heritage, awesome cliffs and many represent the abundant scenery that Mexico offers along and across its territory. Fascinating romantic sites which are ideal to organize and celebrate your dream wedding. 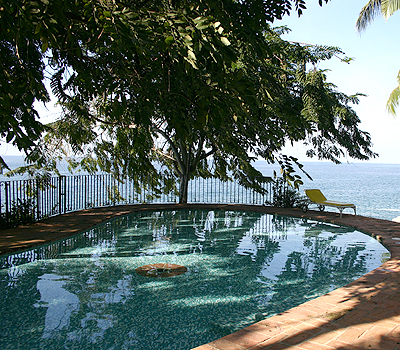 Notwithstanding all other alternatives when choosing, eyes must turn to Puerto Vallarta, known as the Wedding Paradise of Mexico, Located just at the center of Banderas Bay (the largest and most beautiful bay in the country) in the Mexican Pacific. Here, as nowhere else in the world, nature blends in slowly and exquisitely with the infrastructure of an international tourist destination enriched and decorated by the colorful expressions of its culture and traditions, as well as by the extreme warmth and simplicity of its people, to create what is now known as the most romantic and exciting place in Mexico to propose, marry, and honeymoon, while guests of course explore and discover a refreshing and vibrant natural paradise which will captivate them while they enjoy countless activities available practically every moment. In the port’s chronicles the legendary love of Richard Burton with Elizabeth Taylor stands out. Hollywood’s eyes were set on this romantic space the travel industry recognizes as the wedding paradise. 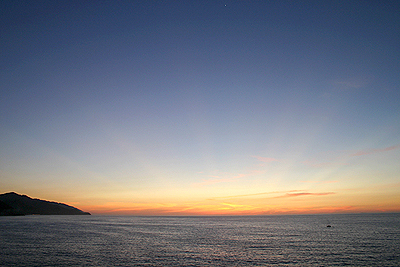 Puerto Vallarta has its own rhythm to enjoy and show, and the couple seeking harmony and diamonds to celebrate its wedding will find themselves walking to that rhythm marked by the town, so step by step they will discover and plan, finding in each corner of the port spaces which will soon enough represent stories to remember. Modernity has made its way into the city I n recent years, but without changes its natural setting and cultural richness. The new malecón (sidewalk) in downtown, the bridge that connects Gringo Gulch with Rio Cuale Island, also the new dock at Playa de los Muertos witness to this fact. 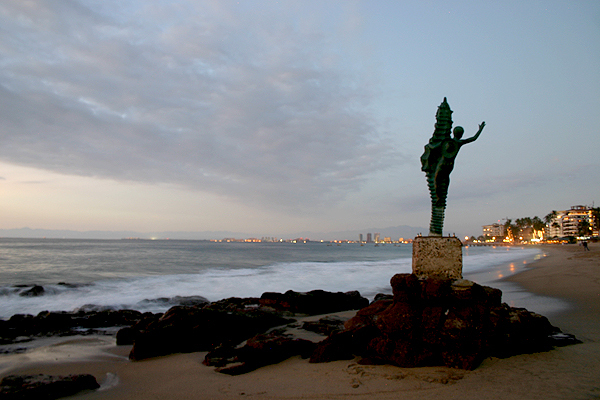 This is precisely what has made Puerto Vallarta the number one destination for this important branch in the travel industry. Testimonials by the thousands witness to Puerto Vallarta as the first choice for American and Canadian weddings and honeymooners in México, and one chief factor contributing to this is its year-round access by air. Planning and organization, as well as guest care is taken care of with a full satisfaction warranty once at the place of destination (specially when left in expert hands), granted by the high quality controls in all services offered by hotels of diverse categories and styles, exquisite gastronomy, exciting outdoor activities and specialized suppliers which are able to see into the most sophisticated details to help the couple stand out for their originality. 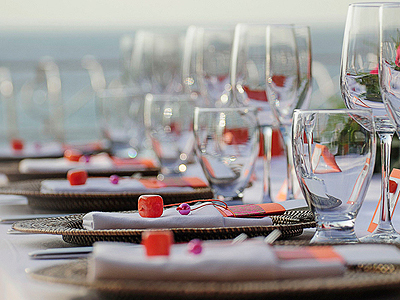 Wedding Planner in Puerto Vallarta, Wedding Design and Style Consulting. Coordination of the civil and religious and spiritual ceremony including all the paperwork. Negotiation and Management with the best suppliers according to the client’s preferences and budget, (invitations, music, flowers, catering, photo and video, fireworks, etc.) we will be responsible for sending you suppliers bids and make appointments before wedding so you can take better decisions. Each of these aspects will be covered in depth in our next issue, to show how details have made Puerto Vallarta the Wedding Paradise of Mexico. 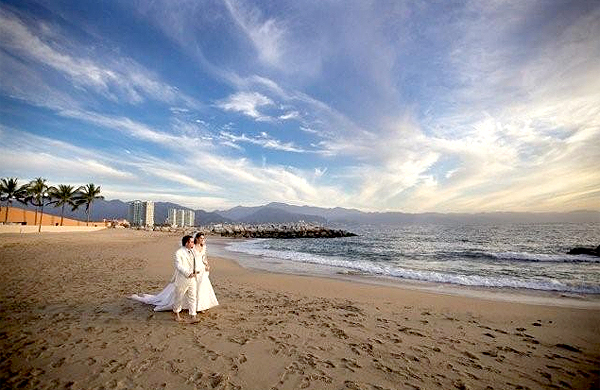 Let’s get married in Puerto Vallarta!